Bankruptcy myths and misconceptions abound and can keep people who are struggling with debt from pursuing this solution when it may, in fact, help them obtain a financial fresh start. 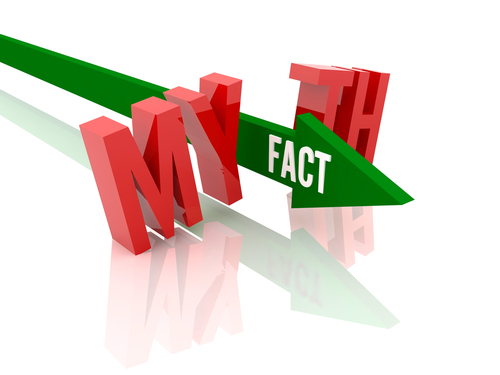 Below are some common bankruptcy myths, along with the facts behind these misconceptions. Check out these bankruptcy myths and the facts behind them to learn about how bankruptcy can be an effective debt relief solution for some borrowers. Myth 1: Bankruptcy is only for people who are irresponsible with their money. They have lost their jobs and are unable to secure new employment; as a result, they fall behind on their bills. They have been hit with expensive medical bills because, for instance, they sustain a serious injury or are diagnosed with a chronic condition. They have recently gone through a divorce. If any of these events occurs and people don’t have a savings account, they can quickly descend into significant debt, regardless of how financially responsible they may be. Myth 2: I will lose my home and all of my possession if I file for bankruptcy. An automatic stay (i.e., a court order) immediately goes into effect when bankruptcy is filed. This legally stops creditors from proceeding with foreclosures, repossessions, wage garnishments and other legal action against borrowers. There are various exemptions stipulated in Colorado Bankruptcy Law that can help borrowers keep their homes, their cars and other assets (so long as the value of these assets doesn’t exceed the stated maximums). Myth 3: Bankruptcy will help me discharge all of my outstanding debts. Restitution fines association with criminal convictions. Despite some persisting debt, however, the fact that other debt is discharged with bankruptcy can free up significant funds to help borrowers cover the remaining debt they may have after bankruptcy. Myth 4: Filing for bankruptcy will have irreversible impacts on my credit. Although bankruptcy will impact a person’s credit, these impacts are NOT permanent. In fact, records of filing for bankruptcy (as well as the debt associated with it) will drop off of a person’s credit report within 7 to 10 years of the filing date (depending on the type of bankruptcy a person pursued). However, even before this occurs, a person can make great strides in improving his credit after bankruptcy as long as he pays his remaining debts on time, limits any new debt he may incur and is generally diligent with his finances. Myth 5: Since credit card debt is discharged through bankruptcy, I can run up these bills right before I file. The rejection of their bankruptcy petition by the courts. There are a number of other bankruptcy myths that may be confusing people about this debt relief solution. Therefore, if you have any questions regarding how bankruptcy may work for you (or what the best debt relief solutions are for your situation), don’t hesitate to contact Denver Bankruptcy Attorney Arthur Lindquist-Kleissler. If you are buried in debt and are ready to explore your options for debt relief, don’t hesitate to contact Denver Bankruptcy Lawyer Arthur Lindquist-Kleissler. He can help you figure out your best options for resolving your financial issues. Since 1979, Mr. Lindquist-Kleissler and the other legal professionals at Lindquist-Kleissler & Company, LLC have been providing both individuals and businesses with the highest quality of legal services when it comes to debt relief and bankruptcy (including civil litigation matters associated with bankruptcy). From simple to complex bankruptcy cases, Mr. Lindquist-Kleissler can always be trusted to help his clients resolve their cases as efficiently, discretely and favorably as possible.